Release Muthulakshmi and 4 others immediately: Fact Finding Team – Federation for People's Rights (FPR), Puducherry. A fact finding team comprising Human Rights activists from various organizations functioning in the states of Tamilnadu, Puducherry and Karnataka is organised to meet Ms. Muthulakshmi w/o Veerappan and enquire about the cases foisted against her. She is now lodged in Mysore Central Prison. Veerappan and three others were already killed in an encounter by the Special Task Force (STF) formed to nab him by the Tamilnadu and Karnataka states. 1) A. Marx, Peoples Union for Human Rights (PUHR), Tamilnadu. 2) M. Sivagurunathan, Peoples Union for Human Rights (PUHR), Tamilnadu. 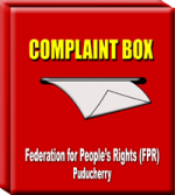 3) G. Sugumaran, Federation for People’s Rights (FPR), Puducherry. 4) Prof. S. Kochadai, PUCL, Tamilnadu. 5) G.C. 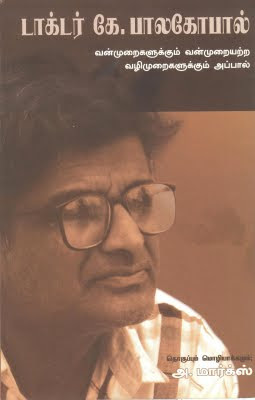 Jagadeesh, New Socialist Alternative, Bangalore. 6) Dr. Laxminarayana, PUCL, Mysore. 7) Marithandia @ Budha, PUCL, Mysore. 8) R. Manoharan, SICHREM, Karnataka. 9) Prasanna, District Convener, Human Rights Struggle Committee, Mysore. The team met Ms. Muthulakshmi on 22.04.2009 at Mysore Central Prison. She was arrested on the night of December 25, 2008 at about 11.45 pm at her residence in Mettur, Tamilnadu by Karnataka Police. They had a warrant issued by Chamrajnagar Principal and Session Judge. Four others (Srinivasan, Ponnusamy, Paswa and Tailor Mani) were also arrested in the subsequent days. The Police didn’t even allow Muthulakshmi to change her night dress and took her immediately to M.M. Hills Police station. The next day morning she was produced in the court and remanded to judicial custody. Four cases were foisted against her under various sections of IPC, Indian Explosives Act, Indian Arms Act and also under the infamous TADA. The cases are popularly know as DFO Srinivasan murder case (1991), Saheel Ahmed murder case (1992), SP Gopal Hosur attack case (1993) and Palar blast case (1993). The following observations are made by our team after interacting with Ms. Muthulakshmi. 1) All the incidents related to the four cases occurred between the years 1991 – 93. About 126 persons were arrested including 8 women. The cases were tried in Special Court and 109 persons were totally acquitted and set free after 9 years. Only 8 persons were convicted, of this 4 persons were awarded life imprisonment. In the appeal the Supreme Court awarded death sentence to the above 4 and they are languishing in the prison till today. Their clemency petitions are pending before the authorities. 2) At that time the STF took Ms. Muthulakshmi also and kept her illegal custody for about 2 years at the Bannary camp. Though she was released after 2 years from custody, she was kept virtually in house arrest till her husband’s death. She was not even allowed to appear before Justice Sadasiva Commission and air her grievances. 3) For the past 18 years and during the trial of the above cases the Karnataka Police never made any efforts to bring her to face the trial, even though they often intimidated her that there was a warrant pending against her. Suddenly in last December they arrested her and involved her in all the above four cases. They didn’t hesitate to invoke the already repealed draconian TADA. 4) The above cases were already tried and closed in the year 2002 itself. The main accused in all these cases including Veerappan were killed by STF in 2004. After the legal course of action reached a logic end, the Karnataka Police have re-opened the cases and arrested the poor widow and 4 others. 5) The fact finding team (FFT) feels that this is a clear case of victimization and is against all legal ethics. a) All the victims of the STF atrocities should be duly compensated. b) The police personnel responsible for these atrocities should be punished. 7) After Justice Sadasiva Commission report was submitted, the NHRC ordered compensation for 83 victims. Till date the two state governments dispersed Rs. 2.8 crores to 80 persons. 3 more are awaiting compensation. In this connection it should be mentioned that responsible Human Rights organizations in Tamilnadu have already conducted many public hearings and have reported that about 100 persons were killed, 60 women were raped and 300 persons were maimed by the STF. Thus actually many more victims and their dependents are yet to be compensated. 8) Taking into account of these facts the FFT feels that the demands raised in the conferences organized by Ms. Muthulakshmi are purely on humanitarian grounds. Her struggle was totally justified. 9) The FFT condemns the detention of Ms. Muthulakshmi and others and the delaying tactics employed by the Karnataka Police. She is a poor widow with two adolescent daughters. She is incarcerated in the Mysore prison for the past 4 months and the Karnataka Police strongly opposes granting bail to her. 10) The team also condemns the Karnataka Police for invoking the already repealed TADA against a hapless widow. 11) The FFT demands immediate release of Ms. Muthulakshmi and 4 others. The cases foisted against them should be withdrawn. 12) When the Kannada actor Dr. Rajkumar was abducted by Veerapan both the state governments promised to pay Rs. 10 crores as compensation to victims. Each state allotted Rs. 5 crores at that time for this purpose. But as noted above many of the victims and their dependents were not at all given any compensation. But the state governments have given gallantry awards worth crores of rupees and out of turn promotions to the Police personnel who were accused by the victims. This is against the norms and guidelines issued by the NHRC . The FFT demands that the 10 crores allotted should be immediately dispersed to the remaining victims. 13) The FFT also demands that legal proceedings should be initiated against the accused Police personnel and those proved guilty in the enquiry is to be punished according to the law. 14) The FFT demands that speedy legal process is to be accorded to the victims and they should be released on bail. Earlier, I used to charge territories instead of my fees as an actor, but I realised it was better to keep the two apart. Now, I take my fees in cash, for acting, and keep the distribution thing separate.